Jeannie is involved in numerous philanthropic endeavors with a focus on youth outreach and service. This Summer, Jim and Jeannie Gaffigan join TYLENOL® in their #HowWeCare campaign to say thank you to caregivers everywhere. Send a Care Card today! Jeannie was the founder and president of “Shakespeare on the Playground” – a not-for-profit theater company that produced Shakespearean Plays with inner city teenagers with a focus on literacy and productions skills. Shows produced include: “Romeo and Juliet”, “A Midsummer Night’s Dream” and “Much Ado About Nut-in”. 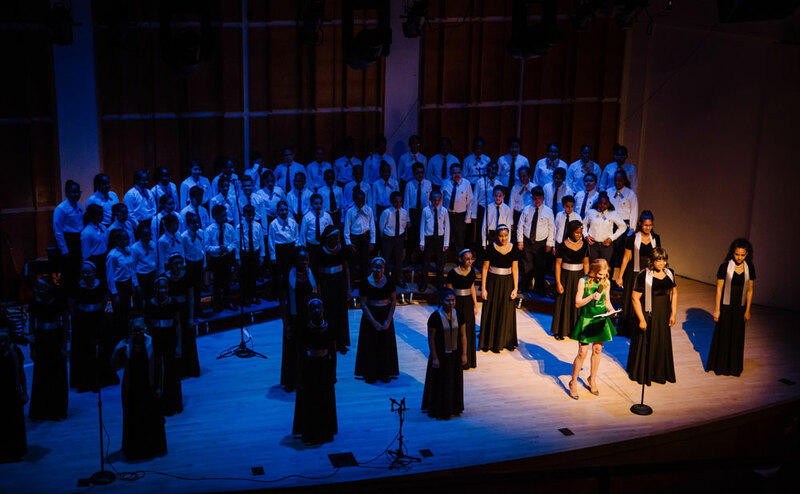 Jeannie recently hosted the 2018 benefit concert for Highbridge Voices, an extended-day music and academic program designed to inspire excellence in the lives of children. Founded in 1998, the organization serves the Highbridge neighborhood of the South Bronx, historically part of one of the most impoverished Congressional districts in the United States. During Jeannie’s recovery, her swallowing disorder known as Dysphagia, inspired Jim and Jeannie to create a series of YouTube videos known as “Feeding Frenzy” which in a humorous way normalized the potentially horrific experience of tube feeding. The feeding frenzy video series was featured by the National Foundation of Swallowing Disorders (NFOSD) as part of National Dysphagia Awareness month.